When creating technical publications such as catalogs, maintenance manuals, regulatory filings and training manuals, many legacy technical publishing systems require that data be pulled from multiple sources, a slow and error-prone process. With disconnected data sources and difficulty finding the most relevant and up-to-date information, such documents typically require a long lead-time, are prone to errors, and are expensive to produce. Built on the Aras Innovator® platform, Aras Technical Documentation is a content authoring tool that takes a new approach to the creation of technical publications by using PLM content directly. Developed in partnership with Orio (formerly Saab Original Parts), the web-based solution cuts out rewriting time and eliminates opportunities for error by using referenced PLM content in a modular fashion. Additionally, notifications of engineering change orders (ECO) can automatically trigger document updates, ensuring that publications use the most relevant, up-to-date information. Find out more about Technical Documentation as well as the challenges and solutions that exist. 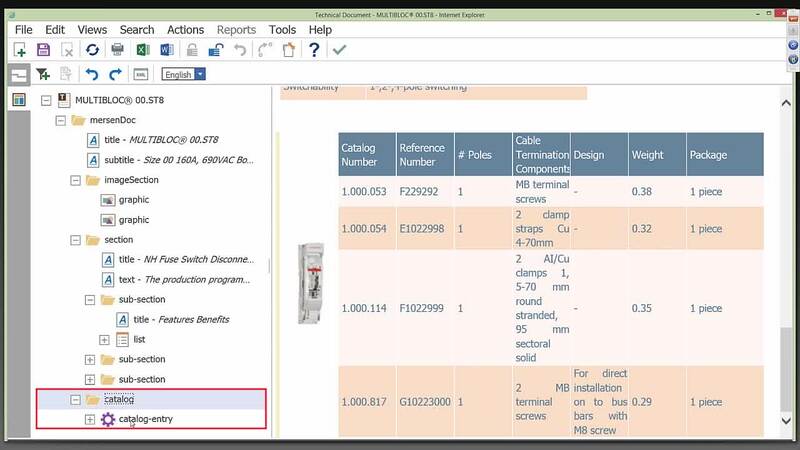 Aras Technical Documentation is an Aras Innovator application. It is available on an open-access basis or through an annual subscription, which comes with additional features, full support, training, and upgrades. Creates complete system view of multidisciplinary products by linking embedded software deliverables into enterprise processes while source code is managed in ALM. Simplifies selection, approval, sourcing, and compliance for externally sourced electronic components. Provides a comprehensive closed-loop system using CMII and CMPIC certified methods for managing the configuration of a product or system throughout its life. Provides an integrated approach to managing manufacturing data and processes in PLM, bridging the gap between engineering and manufacturing with a digital thread. While Aras provides full PDM capabilities, integration with other PDM environments which manage CAD, parts, BOMs and documents is also available. Providing visibility into projects and programs, enabling enterprise organizations to plan and manage resources, mediate risk and maximize profitability. The Aras® Quality Management System application provides businesses with advanced product quality planning (APQP) tools to manage risk, improve quality, and attain environmental, regulatory, safety, medical, and other forms of compliance. Enables the creation of a single, multi-discipline requirements hierarchy, critical for designing complex products which combine hardware and software. Provides management of the lifecycle of complex multi-disciplinary products from requirements, through development, manufacture and support.